Five teams from the Premier League in the last 16 of the Champions League and I am expecting all of them to progress to the quarter-finals. Last season Leicester were the only English team in the last eight. That's football. The Premier League teams are just stronger this season, better prepared for the big games in the Champions League, and their concentration levels are higher. And sometimes absence makes the heart grow fonder. They are all in form and in the mix and it is hard to pick a favourite. 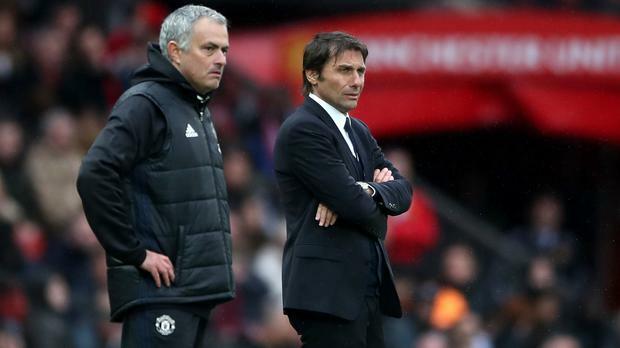 Manchester City are on fire, Liverpool and Tottenham can beat anyone on their day, but Manchester United and Chelsea are the two English teams I think are most likely to win it. Jose Mourinho is the master of getting his team to peak at the right time, as he demonstrated by concentrating on the Europa League last season, sacrificing the league, to guarantee a place in the Champions League. I know this is a step up but you can tell he is ready to take on Europe's elite. The difference between United and the other English sides is that they are the strongest defensively and they know how to manage games. And they have the forward players to rip teams apart on the break. United are loaded with proven big players for the big game. Trust me, Mourinho bought players he believes can win the Champions League. His rivals may be easier on the eye but he is only interested in winning games, not how nice it looks. Chelsea have enough to knock Barcelona out. They have nothing to play for in the league - their challenge was over six weeks ago - and Antonio Conte has probably had an eye on this one since then. Suddenly his players are coming back into form and they will come alive in these big games. I really feel there is a big performance in the Chelsea players. I hope for Conte's sake I am right and Chelsea go through because if they don't, he will be out the door sooner rather than later. The outcome will depend on Luis Suarez, who is in outstanding form, and Lionel Messi, who only rates as a nine this season, down from a nine-point-five. On his day, Eden Hazard is just as unplayable. City have raised the bar this season. Their midfield is the best in Europe and Sergio Aguero has been out of this world since Gabriel Jesus's injury. But I still have reservations about the defence, and there will come a stage in a big game when they are under pressure and I wonder how they will handle that. Can they win all four? Can you bet against them? I think something will derail them. Liverpool are even weaker defensively and, despite their front three, that is bound to cost them on away goals at some stage, or leave them with too much to do against a well-organised team. We can't read too much into the result in Portugal. Porto were a shambles, bottom of the Championship/top of League One standard, but Liverpool certainly got the job done. They will fear no one. But they can't defend. Tottenham might regret not coming away from Turin with the win they deserved. Juventus are capable of coming to Wembley, grabbing a couple of goals and parking a big Italian bus in front of Gigi Buffon's net. But, as they showed in the first leg, Spurs have the players to break through that defensive wall, and Moussa Dembele gave one of the best midfield performances I have seen. It was a masterful display of real quality and technique with and without the ball which allowed him to feed Dele Alli and Christian Eriksen in some great positions. He's not a heavy tackler but has power and a presence to win the ball, and when he has it, he ghosts past players. He is now putting in consistently good performances having raised his fitness levels. City play at Wigan tomorrow night and, at 35, my brother Noel is hoping for a place on the bench and the opportunity for a few minutes against the big boys. It is also an opportunity for Paul Cook to test himself against the best coach in the business. Wigan have been relegated three times since they beat City in the 2013 FA Cup final but they are in good shape under Cook in League One and in the race for automatic promotion. City coming to town is a bonus game for Wigan and they will enjoy their night in the limelight, I'm sure. Since leaving Sligo Rovers, Cook has been impressive at Chesterfield and Portsmouth and he is in a good place with Wigan. He still has a long way to go as a manager, but he has benefited from his League of Ireland experience and I'm sure he learned a few things which he has taken into full-time professional management. He needs to make another step up, and if he can build a team in the Championship and challenge for promotion, he is a manager we could consider for the Ireland job. His team play a different way, 4-2-3-1, and he likes to play good football and is able to man-manage players, as he is showing with Nick Powell, who was close to joining West Ham last month.